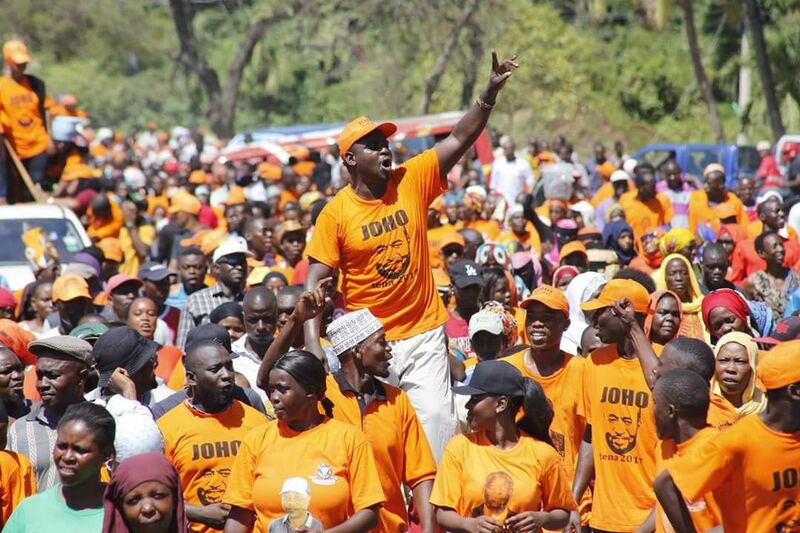 Mombasa is still and ODM zone and residents vowed to return back Ali Hassan Joho to his seat. - Bana Kenya News, Real African Network Tubanane. Home featured Mombasa Mombasa is still and ODM zone and residents vowed to return back Ali Hassan Joho to his seat. 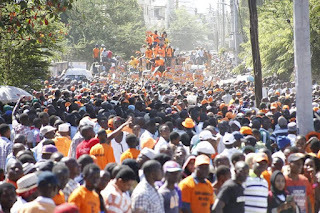 Mombasa is still and ODM zone and residents vowed to return back Ali Hassan Joho to his seat. 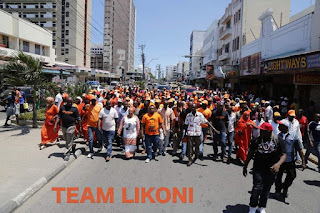 Despite all the threats that were given out by the Coast regional coordinator Nelson Marwa, the ODM rally at Tononoka showed how Mombasa is still an ODM zone. 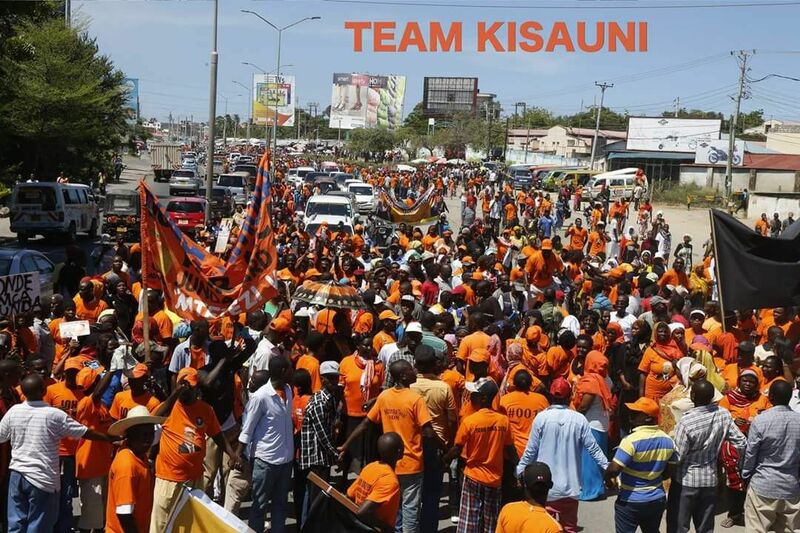 The Rally which had teams from all corners of Mombasa was successfully and made the Team Jubilee in Mombasa worried. The difference between the ODM rally and the Jubilee rally which both held on the same grounds is that ODM had Mombasa native as the Majority. Teams from Kisauni, Mvita, Likoni, Changamwe, Nyali and Mtwapa were approximately 4000 people in addition to others from Malindi, Taita Taveta, Tana River and Lamu comprised of 20 % attended. 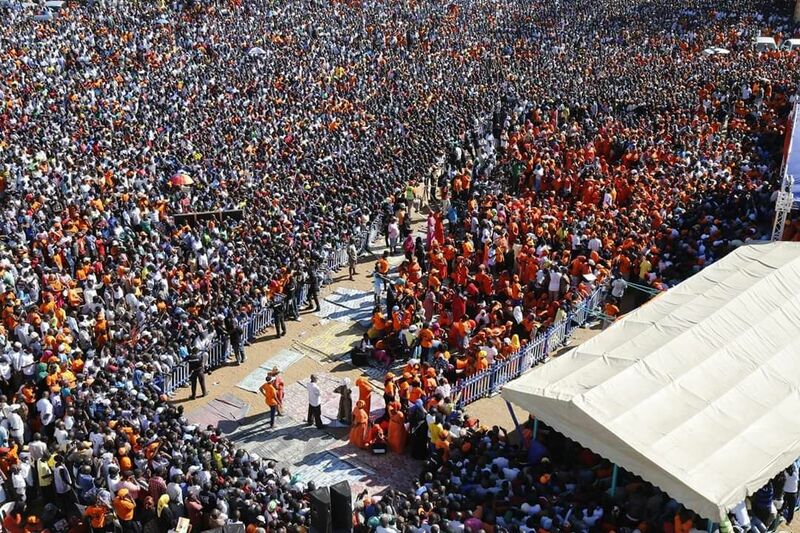 The Jubilee had 80% of other regions and 20% from Mombasa. 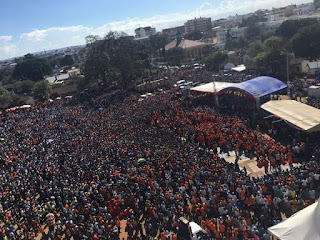 It is also seen that the in house arrest for the Governor terrible failed and he has led the rally welcoming his leader Raila Odinga. 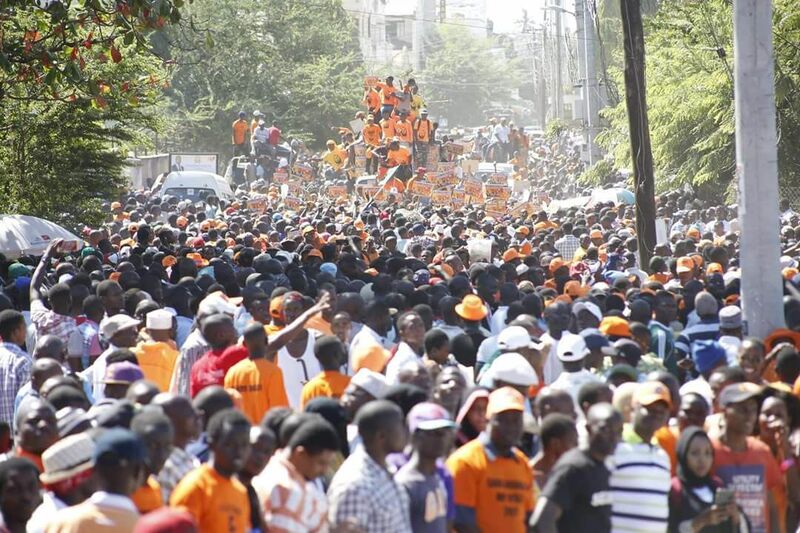 The Mombasa town was had an Orange theme because of their leader and theme colour of the party. 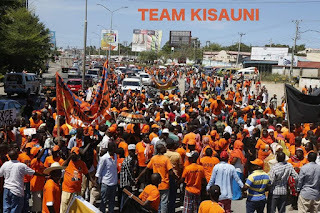 It is known that the governor Hassan Joho has not yet started his campaign in Mombasa to secure for his seat. It is only the Jubilee aspirant Suleiman Shahbaal struggling to unseat the Governor. The Government has been campaigning for him in Mombasa and currently. Ali Joho is the Most influential governor in Kenya with a lot of support from Five regions, followed by Dr Evans Kidero. According to the Infotrak polls, Governor Ali Joho has the most Votes in Mombasa. People are still trusting him from all angles of the coast region. Mombasa is the heart of the Coast Region. The Governor is the lead for more than 70percent compared to Suleiman Shahbaal and Omar Hassan.